The Weber Spur Trail (pictured left) would create the ultimate low-stress connection for people walking and biking between the North Branch, Sauganash and North Channel Trails, Elston Avenue bike lanes and the CTA Blue Line’s Jefferson Park Station. Adding safe connections for people walking and biking between trails at Gompers Park and River Park. 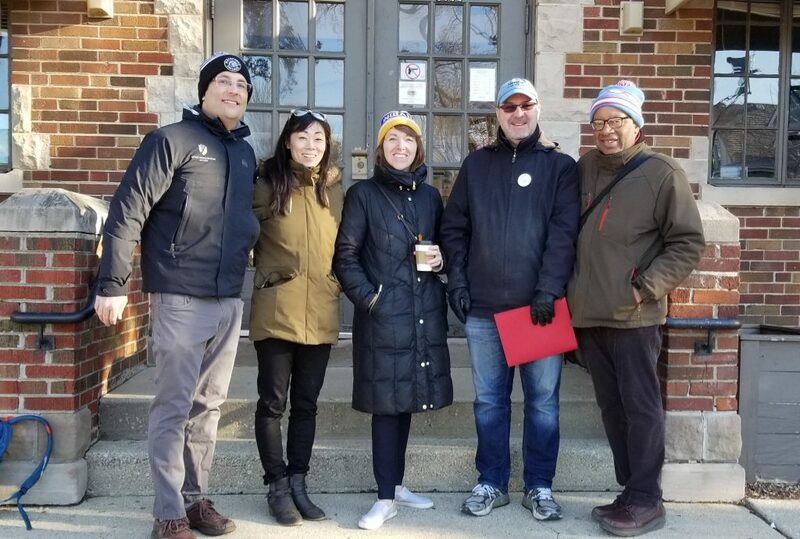 Active Trans staff and local partners met with 39th Ward candidate Robert Murphy, pictured second from right. Both candidates support these projects, as well as our vision for a 27-mile continuous Chicago River Trail. 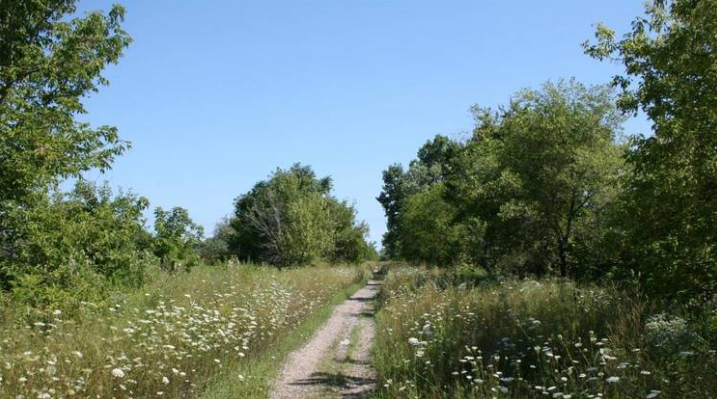 As Chicagoans demand more off-street trails, opportunities exist to leverage ongoing development near the river and create a trail system that benefits communities all along the river and across Chicago. It’s exciting to see so many river trail projects currently under construction: the 312 RiverRun Trail, Lincoln Village Bridge and the trail at Lathrop Homes. In addition, the Manor Greenway in the 33rd Ward has recently been completed, providing a safe on-street connection between Lawrence and Montrose Avenues. Active Trans’ recommendations to the 39th ward candidates highlight these priorities and ask them to work with neighborhood stakeholders and city departments to develop plans and timelines for completing these two projects. Active Trans staff and local partners met with 39th Ward candidate Samantha Nugent, pictured third from right. 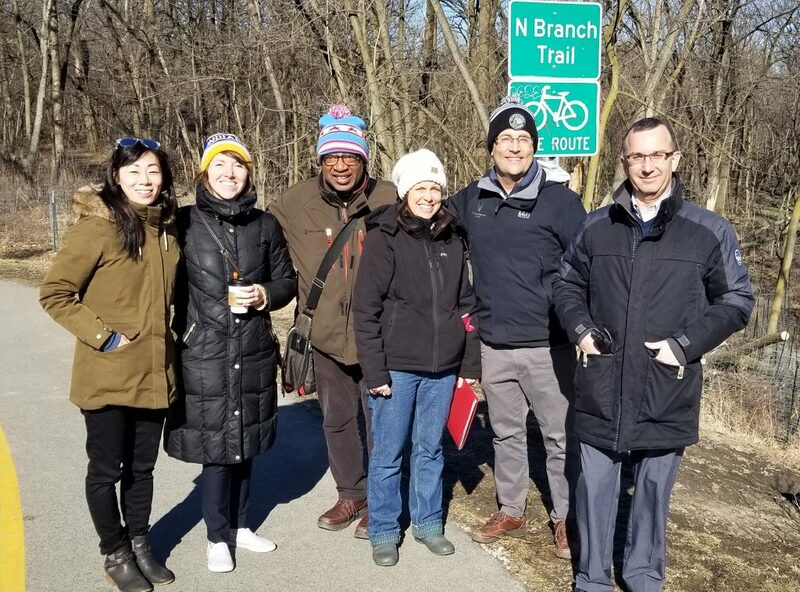 Following the April 2 runoff election, Active Trans and our partners will engage aldermen in riverfront wards and ask them to sign on to a letter calling on the new mayor to develop a comprehensive plan for a continuous Chicago River Trail. If you haven’t already, please join the campaign so we can keep you updated on the latest developments and provide opportunities to support a river trail. Photo courtesy of Chicago Department of Transportation.